Described as ‘one of the most exciting new music groups around at the moment’, recent performances have been at the Songlines Encounters Festival 2015, Cambridge Big Weekend and London International Arts Festival 2015, as well as multidisciplinary projects with contemporary dance and live poetry. 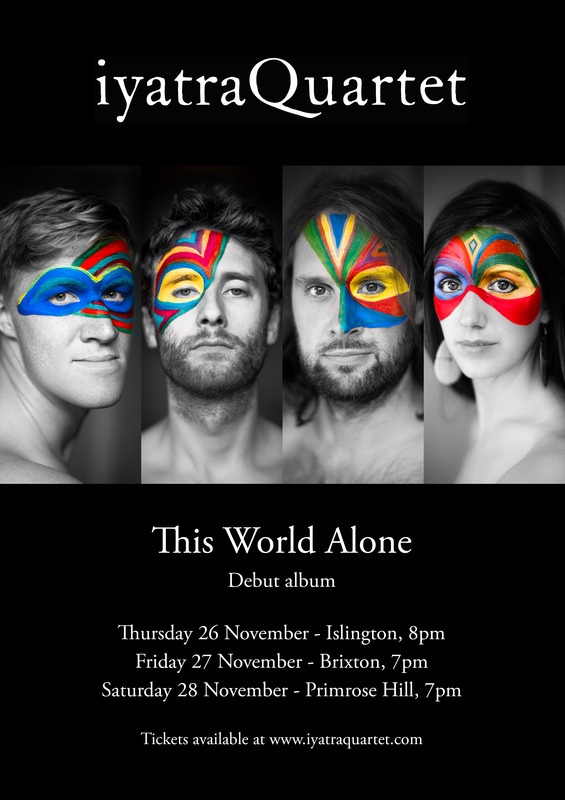 Recorded at the Union Chapel, London, iyatraQuartet’s debut album, This World Alone, is being released in November 2015. 'iyatra' comes from the Hindi word for 'travel' and 'journey': a concept we embrace in our music. 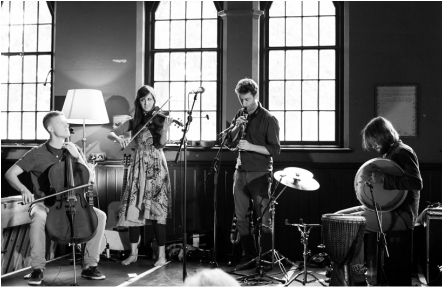 iyatraQuartet work collaboratively drawing on a diverse range of musical styles from around the world to devise and perform their own music. With backgrounds in classical, jazz, Cuban, Brazilian and Indian music, iyatraQuartet combine Indian raga with drum and bass rhythms, plainchant with extended percussion techniques and many more influences to create a unique sound and collection of musical experiences.